New research by the team published in Antiquity presents detailed evidence of prehistoric quarrying in the Preseli hills in Pembrokeshire, helping to answer long-standing questions about why, when and how Stonehenge was built. 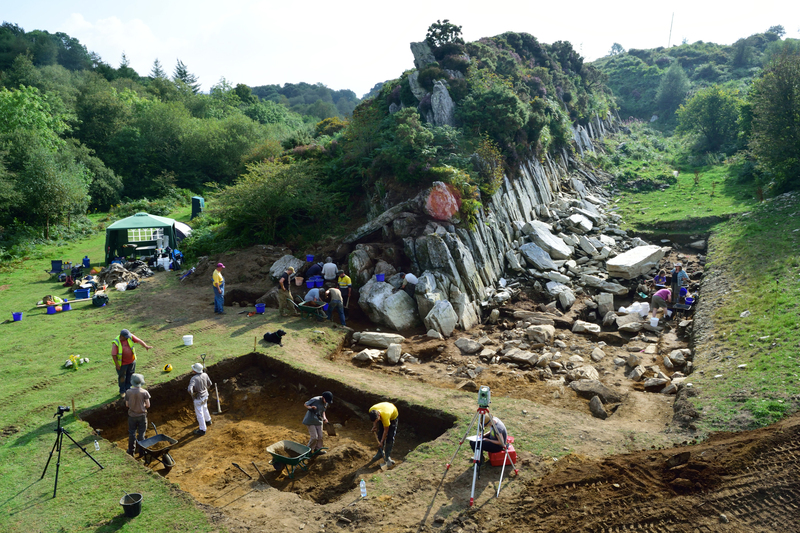 The team of scientists includes researchers from UCL, University of Manchester, Bournemouth University, University of Southampton, University of Leicester, Amgueddfa Cymru – National Museum Wales, and Dyfed Archaeological Trust. The Stonehenge bluestones are of volcanic and igneous rocks, the most common of which are called dolerite and rhyolite. Dr Richard Bevins (Amgueddfa Cymru – National Museum Wales) and Dr Rob Ixer (UCL and University of Leicester) have identified the outcrop of Carn Goedog as the main source of Stonehenge’s ‘spotted dolerite’ bluestones and the outcrop of Craig Rhos-y-felin as a source for one of the ‘rhyolite’ bluestones. The research published details excavations at Craig Rhos-y-felin specifically.